This guide contains zucchini bar recipes. 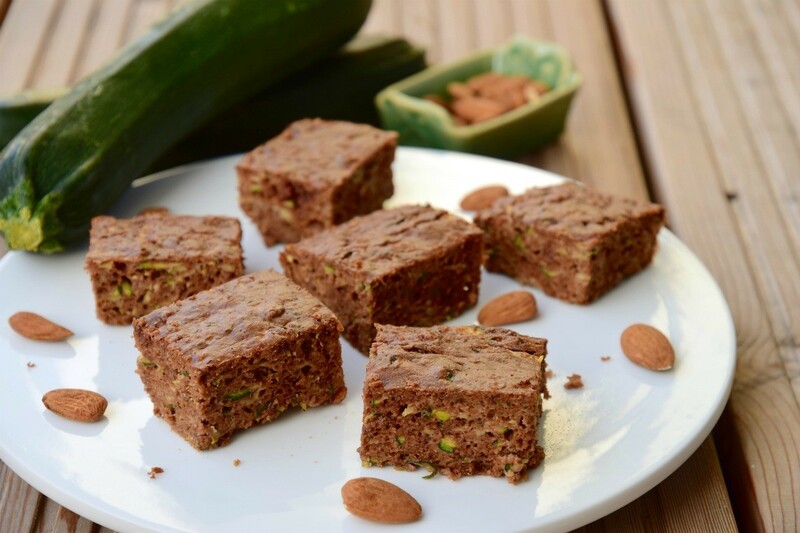 Zucchini bars are a great way to use up all of the zucchini from your garden. You can even freeze some for later. When I have a lot of squash (any kind) or fruit, like figs, I make this and put it up in portions so I don't have to eat it all at one time. Then I freeze and eat some later. I have had this recipe for over 30 years and through everything (moving, etc. ), I have always made sure I kept this. Add your fruit or vegetable and mix well (can be done by hand). Stir in all the rest of the ingredients. Pour into a 12x9 inch baking pan or can use 2 loaf pans. Spray pans with cooking spray and sprinkle a tiny bit of flour distribute the flour by tapping sides of pan. Bake at 325 degree F oven for 45 to 50 minutes. Take out and let cool for 15 minutes and try. Good hot or cold. Source: A friend gave me this recipe and said nobody would know it was squash. In our office, nobody liked squash, but they could not tell there was any in it. We had a good laugh when we told them. These bars are wonderful and are a great way to use zucchini from your garden. 3/4 cup chopped nuts, opt. Cream butter and sugars. Add eggs, beating well. Add vanilla and zucchini. Stir, then add the rest of the ingredients. Spread in a greased 15x10 inch pan. Bake at 350 degrees F for 25-30 minutes or until toothpick near the center comes out clean. Cool completely. Stir all together and spread over cooled bars. Garnish with chopped nuts. This one makes the whole zucchini season for us! Preheat oven to 350 degrees F and prepare a cookie sheet by either greasing well or spraying with no-stick spray. Mix the first five ingredients until creamy. Blend in flour and baking powder until well incorporated and then fold in coconut, walnuts and zucchini. Spread evenly in the cookie sheet and bake about 20 minutes, or until cake springs back when touched near the middle. While still quite warm, mix all frosting ingredients and spread on the cake. Cool completely and cut into bar or diamond shapes. Zucchini, apples, and oatmeal come together in these delicious bars. They are perfect for a snack or a quick breakfast.